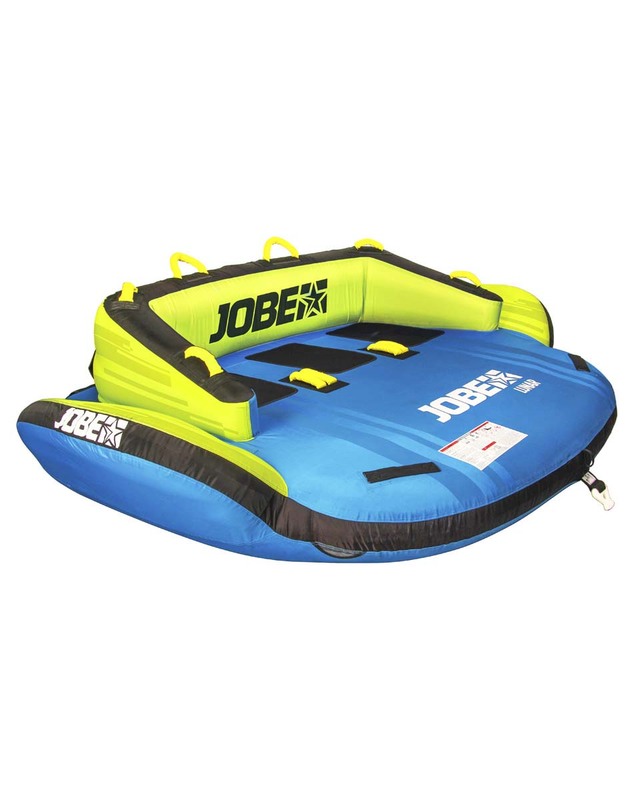 2018 JOBE LUNAR TOWABLE | Sell Fun – New and Used Boat Sales, Jet skis, buggies, speed boats – new and used! Get loony with the Lunar! This 3-person tube has two tow points for endless fun, no matter which way you use it. Easily connect with the ‘quick connector’ to its two tow points and switch from sitting back to its comfy inflatable back support to a sporty kneeling positions. This family-fun tube is equipped with a one way valve and is covered in 840 denier strong nylon around a 28 gauge PVC bladder, and comes with 8 (detachable) handles to hold on to.